Filmmaker Kamaleswar Mukherjee speaks about his forthcoming release and explains why he does not believe in expensive and expansive promotions. In his nine-year career in Bengali cinema, filmmaker-actor Kamaleswar Mukherjee has experimented with various genres and received critical as well as commercial success to varying degrees. 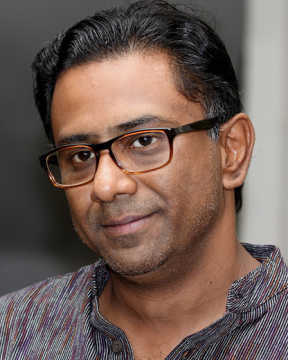 A physician by training, Mukherjee made his debut with the experimental Uro Chithi (2011). He tasted a huge measure of success with Meghe Dhaka Tara (2013), inspired by the life and works of the legendary Ritwik Ghatak. The film received several awards, including the Centenary award at the International Film Festival of India, Goa, in 2013. Mukherjee’s Chander Pahar (2013) marked a major shift in his career as it turned out to be the most expensive film ever made in Bengali. Based on an iconic novel by Bibhutibhushan Bandopadhyay, the film was shot in Africa and featured Dev Adhikari in the lead. Chander Pahar is also believed to be the biggest Bengali blockbuster yet. Mukherjee's Khawto (2016), Cockpit (2017) and Amazon Obhijaan (2017) also reaped major box-office collections; however, his last film Goodnight City (2018), a psychological thriller starring Ritwick Chakraborty, Payel Sarkar, Arunima Ghosh, Rituparna Sengupta and Saswata Chatterjee, did not fare well. Mukherjee’s upcoming Mukhomukhi also has a stellar cast and is slated for release on Friday 1 February. Starring Jisshu Sengupta, Anjan Dutt, Payel Sarkar, Darshana Banik, Saheb Chatterjee, Rajatabha Dutta and Gargi Roy Chowdhury, the film is an experimental take on cinema in terms of both content and form. Mukhomukhi's plot does not progress in linear fashion. 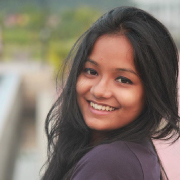 Roy Chowdhury plays an author and all the other characters emerge from her novel. She changes the course of their lives according to time and socio-economic circumstances. Jisshu Sengupta plays the protagonist and the plot revolves around his stand and reactions to the circumstances he is in. The film makes a departure when it comes to designing the narrative or weaving the plot. However, Mukherjee said, the intention was not to make the film difficult. “I feel any film brings something new and, similarly, Mukhomukhi has uniqueness in terms of both form and content. I don’t think the masses will have difficulty grasping it,” he said. Mukherjee, who is also a playwright and founder member of the theatre group Shailushik, wrote Mukhomukhi 10 years ago as a stage play. He later turned it into a script. The filmmaker said he was confident his cast would shine in the slightly different avatars in the film.